Eurafric : the Water & Energy Forum is at Bepositive, the energy transition exhibition - SoMed! 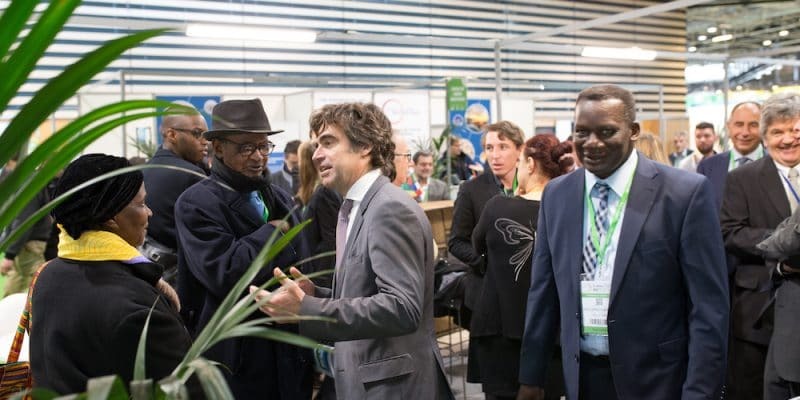 BePositive, the leading French trade fair on energy and digital transition in buildings and territories, is hosting the 2019 Eurafric forum, dedicated to the water and energy sector in Africa. Both events will be held in Lyon, France, from February 13 to 15, 2019. The annual Eurafric forum “Water & Energy in Africa” is usually held at the end of the calendar year. For its 18th edition, however, the Business Development Agency for Africa (dubbed ADEA in French), which is organising the event, has preferred to postpone the forum by 2-3 months in order to be able to back it up with BePositive, the exhibition on energy and digital transition of buildings and territories, which is being held in Lyon (France) from the 13th to the 15th of February 2019. Eurafric forum, which is the result of a partnership with the Auvergne Rhône-Alpes region, the metropolis of Grand Lyon and the city of Lyon, brings together political decision makers, experts, main international donors and companies in Lyon every year to discuss issues relating to the cross-promotion of SMEs in Europe and Africa. The objective of the Forum is to promote the partnership between the European Union (EU) and Africa in the water and energy sectors and to improve the competitiveness of African companies. Inaugurating a new format, ADEA offers 3 days of B2B meetings with plenary conferences on “International Financing in the Renewable Energy Sector”, the Capacity Building Programme, and visits to industrial sites on hydropower, renewable energy and sustainable urban development themes. The French National Institute of Solar Energy (INES), the research centre located on the shores of Lake Le Bourget, which is also the French representative of the International Solar Alliance’s (ISA) “Decentralised Solar Applications for Agricultural Use” programme, is particularly involved in the conference programme. Thus, INES, ASI and ADEA are offering a series of conferences on “Innovations for Rural Electrification”. The Goal is to promote potential collaborations between Europe and Africa in the solar energy sector and to improve conditions for the development of projects in the sector and for knowledge sharing. On BePositive, a complete presentation of ISA’s programmes, tools and actions will also take place on Wednesday February 13. Finally, the exhibitors at the show will highlight a series of innovations in renewable energies and construction, particularly with regard to the efficiency aspects linked to the deployment of digital technology in new technologies.